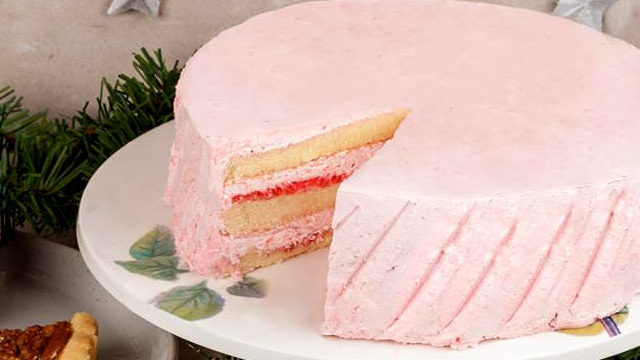 It's National Cake Day this week! (SPOT.ph) Get your sweet tooth ready for this week's round of food steals and deals! 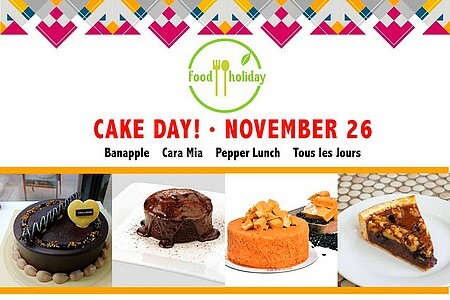 We've found eat-all-you-can and two-for-one promos for National Cake Day tomorrow, November 26. Plus, there's beer at just P25, unlimited wings, free coffee refills, and more! It's P25 on 25! 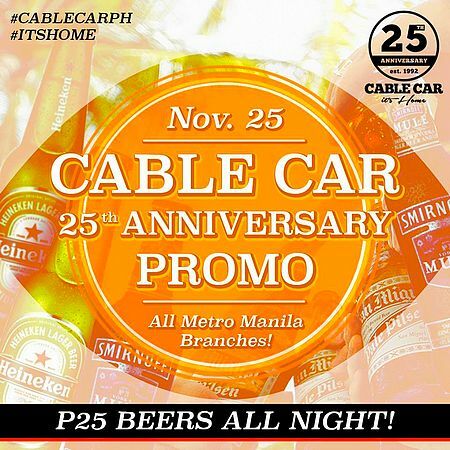 Cable Car is celebrating its 25th year with a promo: P25 on your favorite beers. This steal is valid only today, 4 p.m. onwards at all Metro Manila branches. 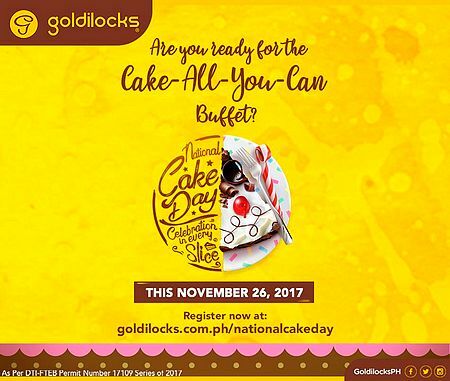 Are you ready for the Cake-All-You-Can buffet at Goldilocks? Make sure to save the date because it’s happening tomorrow, November 26. Dig into all the cake slices that you can eat for just P169 in seven participating stores. It’s going to be the sweetest Sunday ever. See a list of participating Goldilocks branches. For more information, log on to Goldilocks' website. 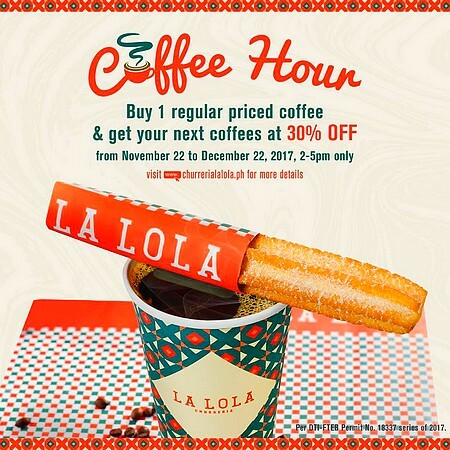 Spend your coffee break at Churreria La Lola! Buy one regular-priced coffee and get your next cups at 30% off. 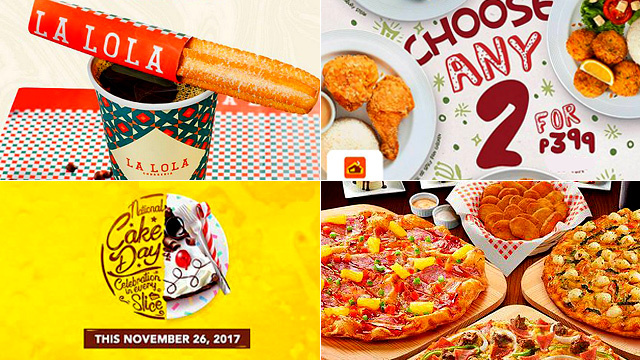 This promo is available until December 22, from 2 p.m. to 5 p.m.
See a list of participating Churreria La Lola branches. For more information, log on to Churreria La Lola's Facebook page. Say hello to Domino’s Pizza’s new store in Valenzuela! 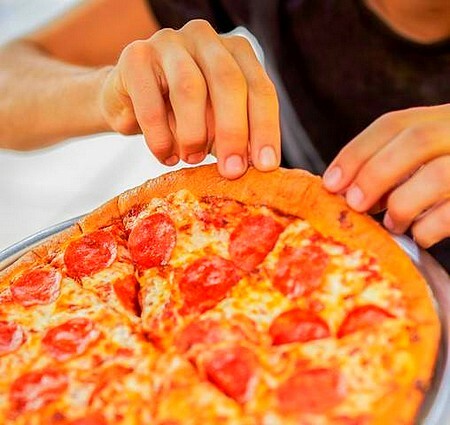 Order an Ala Carte, Hand-Tossed, and Thin Crust Pizza and get it at 20% off. This promo runs until December 9, valid only at the Valenzuela branch. Time for that pizza party! Domino’s Pizza is at 119 McArthur Highway, Barangay Marulas, Valenzuela City. For more information, log on to Domino's Pizza's website. Enjoy some heavenly goodness and reward yourself with Café France’s All-You-Can-Eat Promo! For only P299, have a feast with a delightful selection of pasta, sandwiches, salad, soup, sweets, and drinks. 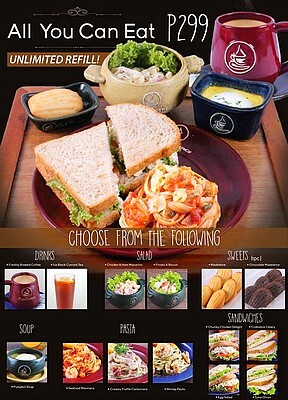 This promo is valid at different timeslots per branch. 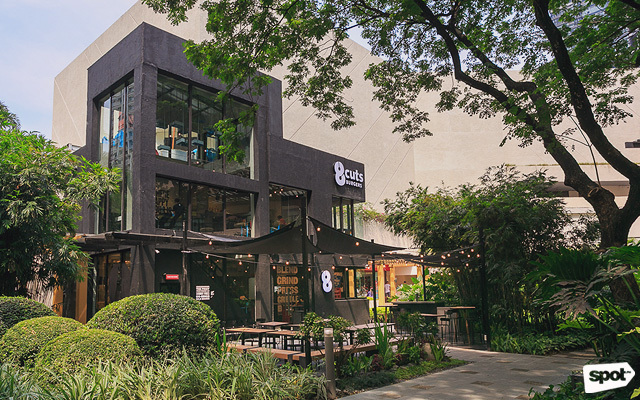 Alabang Town Center is at Commerce Avenue, Madrigal Avenue corner Alabang-Zapote Road, Ayala Alabang, Muntinlupa City. For more information, log on to Alabang Town Center's Facebook page. 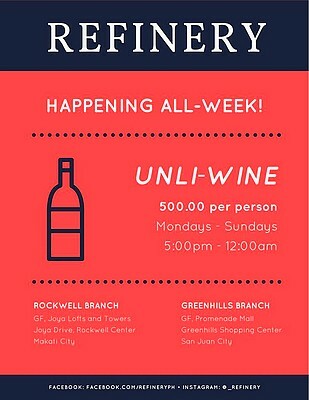 Weekdays have just gotten better with Refinery! Raise your glasses to bottomless wine for just P500, available from 5 p.m. to midnight. It's definitely the season for drinking! Refinery is at G/F Joya Lofts and Towers, Joya Drive, Rockwell Center, Makati City; and G/F Promenade Mall, Greenhills Shopping Center, San Juan City. For more information, log on to Refinery's Facebook page. 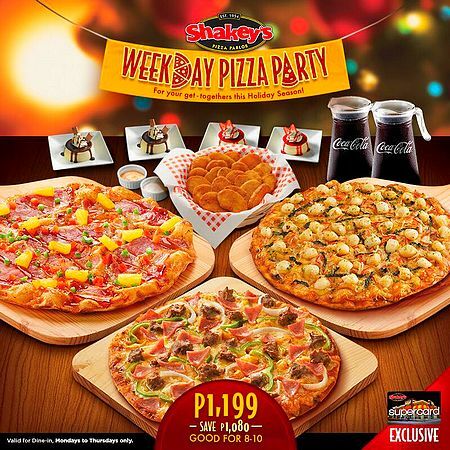 Celebrate with over three Large Thin Crust Pizzas (Christmas Ham, Scallop Primo, and Manager's Choice), four servings of Panna Cotta, one basket of Mojos, and two pitchers of Coke for only P1,199. Exclusive for SuperCard holders, this deal is good for eight to 10 people and valid for dine-in from Monday to Thursday until December 21. 'Tis the season for good food and creating great memories! 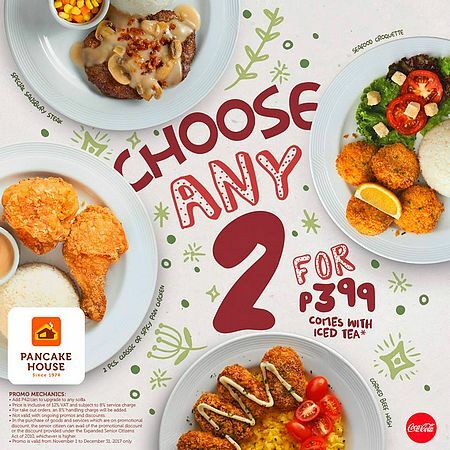 Celebrate the most wonderful time of the year by enjoying your well-loved Choose Any Two favorites from Pancake House for only P399, which already includes iced tea. Take your picks among Special Salisbury Steak, Seafood Croquette, Corned Beef Hash, and Two-Piece Classic or Spicy Pan Chicken. This deal is available until December 31. 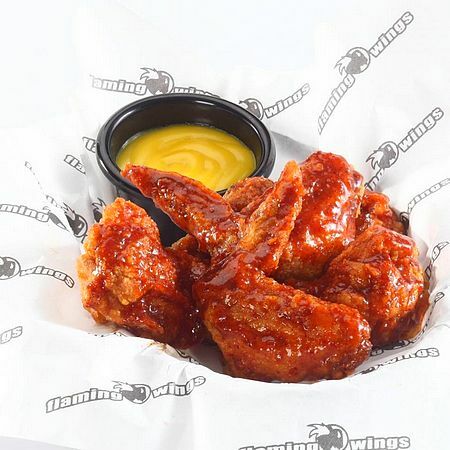 For P255, dig into all the chicken wings and rice that you can eat, plus bottomless drink. This promo is happening on November 30 only, so make sure to mark your calendars!